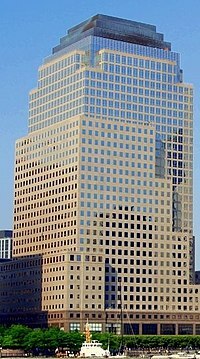 250 Vesey Street, formerly Four World Financial Center, is a part of the Brookfield Place complex in Lower Manhattan, which houses the financial offices of Merrill Lynch. Rising 34 floors and 500 feet (150 m), and situated between the Hudson River and the World Trade Center site, Four World Financial Center is located in the heart of the Financial District. After the September 11, 2001 attacks, the building sustained major damage to its roof, however the general damage to the building was nowhere near as great as the other three towers. On October 23, 2001, about two dozen senior executives of Merrill Lynch began returning to their offices on a limited number of floors within the building, making it the first tower in the four-tower complex to be reoccupied after the attacks. The structure was renamed 250 Vesey Street when the complex became Brookfield Place in 2014. Other tenants include the headquarters of the College Board. 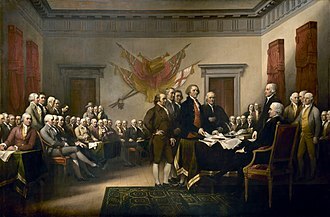 ^ "Merrill Officials Return to Offices". nytimes.com. October 24, 2001. ^ Levitt, David M. (26 October 2012). "World Financial Center Renamed in Brookfield Tenant Shift". Bloomberg Businessweek. After being recovered from the rubble of the Twin Towers after the September 11 attacks in 2001, the artwork faced an uncertain fate, and it was dismantled into its components. Although it remained intact, it had been visibly damaged by debris from the airliners that were crashed into the buildings. It has become a major tourist attraction, due partly to the fact that it survived the attacks with only dents, the Sphere is 25 feet high and cast in 52 bronze segments. 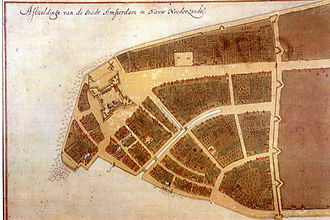 Koenig considered it his biggest child and it was put together in Bremen and shipped as a whole to Lower Manhattan. The structural engineers who took a part on this project was Leslie E. Robertson Associates, the piece was commissioned by the owner of the World Trade Center, the Port Authority of New York and New Jersey, in 1966. The Authoritys original choice had been Henry Moore, but Koenig was chosen after architect Minoru Yamasaki saw some of Koenigs work at the Staempfli Gallery in Manhattan. Koenig started work in 1967 in his barn in Bavaria, while the WTC was in the planning stages, officially titled Große Kugelkaryatide by the artist, the sculpture was soon referred to as The Sphere. After the September 11,2001 attacks, upon recovery from the pile the sculpture was dismantled. Its extraction had been covered in local news media in the New York metropolitan area. As it was a feature of the Twin Towers site, there was much discussion about using it in a memorial. German film director Percy Adlon, who had previously devoted films to Koenig. 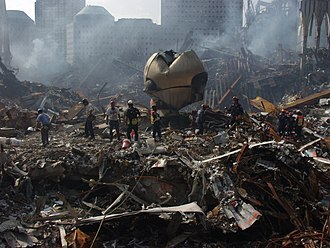 In the film, the artist and the director visit Ground Zero five weeks after the attacks as the former retells the story of its creation, at first, Koenig opposed reinstalling The Sphere, considering it a beautiful corpse. Koenig himself supervised the work, it took four engineers and 15 ironworkers to create a new base, mayor Michael Bloomberg, his predecessor Rudolph Giuliani and other local officials spoke at a ceremony rededicating it as a memorial to the victims. It was a sculpture, now its a monument, Koenig said and it now has a different beauty, one I could never imagine. It has its own life – different from the one I gave to it, according to NYC Parks spokeswoman Vickie Karp, the city was looking to relocate The Sphere in summer 2012, when construction began to restore the park’s lawn, requiring the sculpture to be moved. Developed by restaurateur Joe Baum and designed initially by Warren Platner, Windows on the World occupied 50,000 square feet of space in the North Tower. The restaurants operated from April 19,1976, until 2001 when they were destroyed in the September 11 attacks, the main dining room faced north and east, allowing guests to look out onto the skyline of Manhattan. 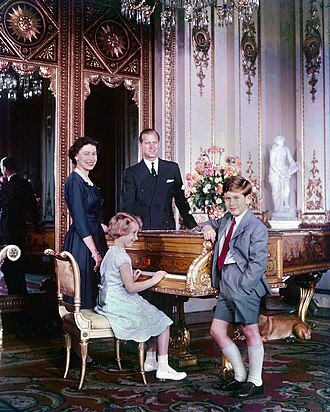 The dress code required jackets for men and was strictly enforced, the restaurant offered jackets that were loaned to the patrons so they could eat in the main dining room. A more intimate dining room, Wild Blue, was located on the side of the restaurant. The bar extended along the side of 1 World Trade Center as well as the corner over part of the east side. The bars dress code was relaxed and it had average prices. Looking out from the bar through the full length windows, one could see views of the tip of Manhattan. 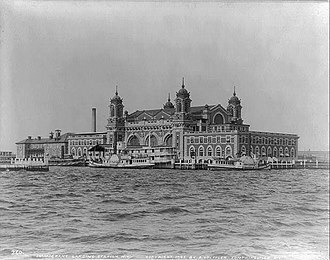 In addition, one could see the Liberty State Park with Ellis Island, the kitchens and conference spaces for the restaurant were located on the 106th floor. 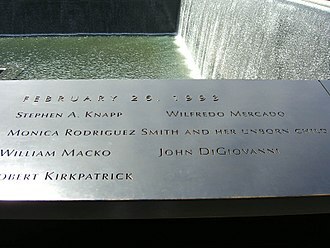 Windows on the World closed after the 1993 bombing, in which employee Wilfredo Mercado was killed while checking in deliveries in the underground garage. It underwent a US$25 million renovation and reopened in 1996, in 2000, its final full year of operation, it reported revenues of US$37 million, making it the highest-grossing restaurant in the United States. Executive Chef of Windows on the World included Philippe Feret of Brasserie Julien, Windows on the World was destroyed when the North Tower collapsed during the terrorist attacks of September 11,2001. That morning, the restaurant was hosting regular breakfast patrons and the Risk Waters Financial Technology Congress, his wife insisted he go to a dermatologists appointment that morning, whereby he avoided death. Everyone present in the restaurant when American Airlines Flight 11 penetrated the North Tower perished that day, as all stairwells leading to below the impact zone were blocked immediately. Victims trapped in Windows on the World died either from smoke inhalation from the fire, jumping or falling to their deaths,16 Incisive Media-Risk Waters Group employees, and 76 other guests/contractors were present. The Deutsche Bank Building was a skyscraper at 130 Liberty Street in New York City, United States, adjacent to the World Trade Center. The building, which existed from 1974 to 2007, was designed by Shreve and Harmon which designed the Empire State Building, opened in 1974 as Bankers Trust Plaza, the building was acquired by Deutsche Bank when it acquired Bankers Trust in 1998. It was part of the skyline of Lower Manhattan,5 World Trade Center will eventually replace the building, expanding the ground space on which the World Trade Center stands, as this land was not part of the original World Trade Center. The structure has since been dismantled, clearing the way for the construction of 5 World Trade Center. The collapse of the South Tower during the September 11 attacks tore a 24-story gash into the facade of the Deutsche Bank Building and concrete protruded from the building for months afterward. This was eventually cleaned up, but due to extensive contamination owners decided that the 39–story ruin was to be taken down, after the 9/11 attacks, netting was placed around the remains of the building. The bank maintained that the building could not be restored to habitable condition, work on the building was deferred for over two years during which the condition of the building deteriorated. In September 2005 human remains were found on the roof, in March 2006, construction workers who were removing toxic waste from the building before dismantling found more bone fragments and remains. This prompted calls from victims family members for another search of the building by forensic experts, between April 7 and April 14,2006, more than 700 human bone fragments were discovered in the ballast gravel on the roof. Workers sifted through the gravel to find more remains, in 2004, an agreement was announced to settle the disposition of the building and insurance claims. 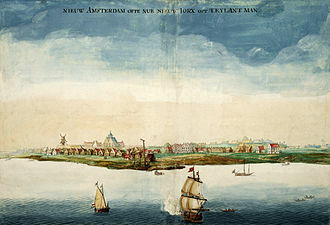 Later that year as part of agreement, the Lower Manhattan Development Corporation acquired the land. An Associated Press December 7,2006 report indicated that the building would be dismantled, the report indicated that area residents were fearful of possibly toxic dust associated with the two towers collapses within the building. 3 World Trade Center is a skyscraper under construction as part of the rebuilding of the World Trade Center site in Lower Manhattan, New York City. The project lies on the east side of Greenwich Street, across the street from the location of the Twin Towers. Pritzker Prize-winning architect Richard Rogers, of Rogers Stirk Harbour + Partners, was awarded the contract to design the building, as of August 2016, the buildings concrete core is topped out to maximum height, with the perimeter steel structure topped out on October 6,2016. The building is scheduled to be completed in 2018, Marriott World Trade Center was previously located at the address until its destruction in 2001. 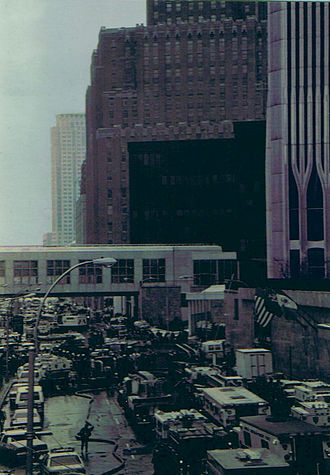 It was a 22-story steel-frame hotel with 825 rooms and it had a roof height of 242 feet. Construction began in 1979 and it opened in July 1981 as the Vista International Hotel, the Marriott World Trade Center was a 22-story steel-framed hotel building with 825 rooms. It had a height of 73.7 m and was designed by Skidmore. Its structural engineer was Leslie E. Robertson Associates with Tishman Construction serving as the main contractor and it opened in July 1981 as the Vista International Hotel and was located at 3 World Trade Center in New York City. 3 World Trade Center was originally planned for a podium of seven stories for trading floors, the diamond braces initially planned for the front and rear faces of the building have been dropped from the design and the tower is to be built without them. However, the diagonal bracing on the sides will remain, the total floor space of the building is planned to include 2,000,000 sq ft of office and retail space. 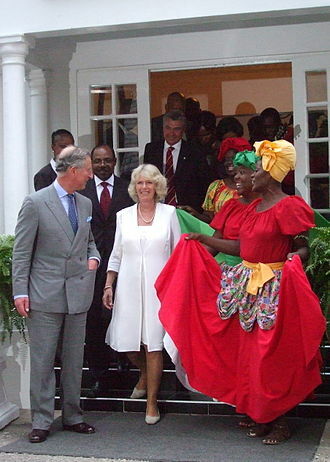 The buildings groundbreaking took place in January 2008, and at time it was scheduled to be completed by 2014. Unusually for a high-rise, the concrete core would be built before the rest of the structure was completed. The structural engineer for the building is WSP, in November 2010, three PureCell fuel cells were delivered at the World Trade Center site which together will provide about 30% of the tower’s power. 7 World Trade Center refers to two buildings that have existed at the same location in the World Trade Center site in Lower Manhattan, New York City. The current structure is the building to bear that name. The original structure, part of the old World Trade Center, was completed in 1987 and was destroyed in the September 11 attacks, the current building opened in 2006. Both buildings were developed by Larry Silverstein, who holds a lease for the site from the Port Authority of New York. The original 7 World Trade Center was 47 stories tall, clad in red masonry, an elevated walkway connected the building to the World Trade Center plaza. The building was situated above a Consolidated Edison power substation, which imposed unique structural design constraints, when the building opened in 1987, Silverstein had difficulties attracting tenants. In 1988, Salomon Brothers signed a lease, and became the main tenants of the building. 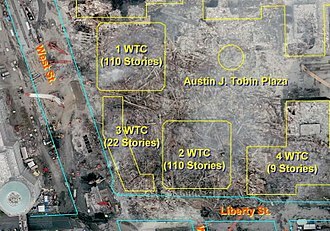 On September 11,2001,7 WTC was damaged by debris when the nearby North Tower of the World Trade Center collapsed, the debris ignited fires, which continued to burn throughout the afternoon on lower floors of the building. Construction of the new 7 World Trade Center began in 2002 and was completed in 2006, the building is 52 stories tall, making it the 28th-tallest in New York. It is built on a smaller footprint than the original, allowing Greenwich Street to be restored from Tribeca through the World Trade Center site, the new building is bounded by Greenwich, Vesey and Barclay streets. A small park across Greenwich Street occupies space that was part of the buildings footprint. The current buildings design emphasizes safety, with a concrete core, wider stairways. It incorporates numerous green design features and it was one of the first projects accepted to be part of the Councils pilot program for Leadership in Energy and Environmental Design – Core and Shell Development. The original 7 World Trade Center was a 47-story building, designed by Emery Roth & Sons, the building was 610 feet tall, with a trapezoidal footprint that was 330 ft long and 140 ft wide. Tishman Realty & Construction managed construction of the building, which began in 1983, in May 1987, the building opened, becoming the seventh structure of the World Trade Center. 200 Vesey Street, formerly known as Three World Financial Center and known as American Express Tower, is a skyscraper in Lower Manhattan, New York City. Located on West Street between Liberty Street and Vesey Street, the 739-foot building is the tallest in the Brookfield Place complex and it is similar in design to 225 Liberty Street, except that it is capped by a solid pyramid whereas 225 Liberty is capped by a dome. The building is an example of architecture, as designed by Cesar Pelli & Associates. It is notably similar in design to One Canada Square in Londons Canary Wharf development, Canary Wharf was, like the World Financial Center, a project by Canadian developers Olympia & York, and One Canada Square was designed by the same principal architect. 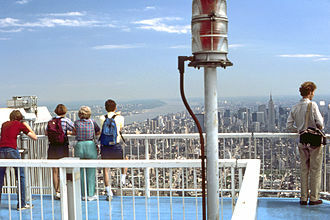 Due to its status as the tallest tower in the complex, in 1985, the New York Times published an article lambasting the tower. 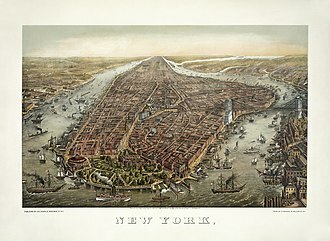 ‟Not too long ago, it was possible to all the way from mid-Manhattan to the skies over the harbor. Now, that vista has been pierced by the American Express tower being built in the World Financial Center at Battery Park City, at the moment, the skyscraper resembles a gigantic, rectilinear fish skeleton. Construction of One World Trade Center was deferred until 2006 because of disputes between the Port Authority of New York and New Jersey and the developer. Tishman Realty & Construction is the selected builder, the building reached ground level on May 17,2008, and was topped out on May 10,2013. One World Trade Center opened to tenants on November 3,2014, the symbolic cornerstone of One World Trade Center was laid down in a ceremony on July 4,2004, but further construction of the tower was stalled until 2006. The cornerstone was removed from the site on June 23,2006. 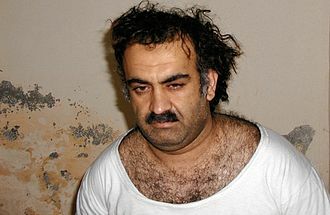 During the summer of 2006, explosives were detonated at the World Trade Center construction site, controlled explosions continued for approximately two months thereafter. On November 18,2006,400 cubic yards of concrete were poured onto the foundation of the One World Trade Center, on December 17,2006, a ceremony was held in Battery Park City, with the public invited to sign a 30-foot steel beam. This beam, the first to be installed, was welded onto the base on December 19,2006. On January 9,2007, a set of beams was welded to the top of the first set. February 2007 estimates put the cost for construction of 1 WTC at $3 billion, approximately $1 billion of insurance money recouped by Silverstein in connection with the September 11 attacks is being used for construction of the new One World Trade Center. The State of New York is expected to provide $250 million toward construction costs, in 2007, Tishman Construction Corporation of New York completed a row of steel columns at the perimeter of the construction site. Two tower crane bases were erected, each containing a functioning luffing-jib tower crane. By the end of 2007, the footings and foundations were nearly complete. In January 2008, two cranes were moved into the construction site. The towers concrete core began rising in the first months of 2008, by February 22,2008,9,400 of the nearly 50,000 short tons of steel necessary had been ordered. By March 13,2008, the steel for the tower had reached 70 feet high,10 feet below street level. 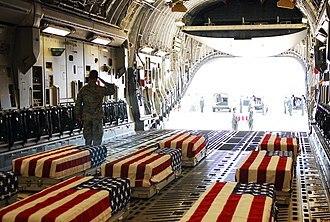 During the September 11 attacks in 2001,2,996 people were killed and more than 6,000 others wounded. 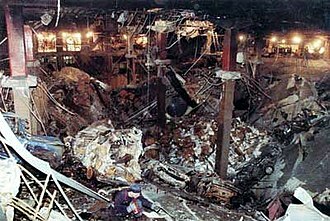 These immediate deaths included 265 on the four planes,2,606 in the World Trade Center and in the surrounding area, and 125 at the Pentagon. 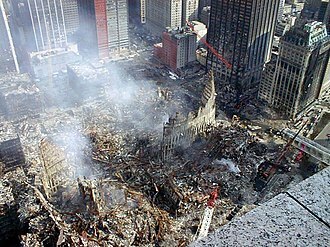 The attacks of September 11,2001, were the deadliest terrorist act in world history, overall,2,605 U. S. citizens, including 2,135 civilians, died in the attacks, while an additional 372 non-U. S. Citizens perished, which represented about 12% of the total, more than 90 countries lost citizens in the attacks, including the United Kingdom, the Dominican Republic, and India. During the initial attacks,2,974 victims were confirmed to have died, this includes Sneha Anne Philip, a doctor, who in 2008 was ruled to have died on 9/11. However, in 2007, the New York City medical examiners office began to add people who died of illnesses caused by exposure to dust from the site to the death toll. The first such victim was a woman, a civil rights lawyer, in September 2009, the office added a man who died in October 2008, and in 2011, a male accountant who had died in December 2010. This raises the number of victims at the World Trade Center site to 2,753, and it has been reported that over 1,400 9/11 rescue workers who responded to the scene in the days and months after the attacks have since died. 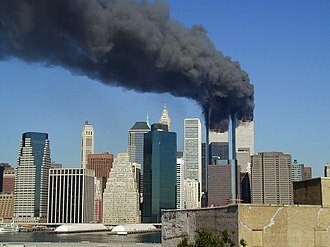 At least ten pregnancies were lost as a result of 9/11, at the time of the attacks, media reports suggested that tens of thousands might have been killed, as on any given day upwards of 100,000 people could be inside the towers. Estimates of the number of people in the Twin Towers when attacked on Tuesday, September 11,2001, the National Institute of Standards and Technology estimated that approximately 17,400 civilians were in the World Trade Center complex at the time of the attacks. Turnstile counts from the Port Authority indicate that the number of people typically in the Twin Towers by 10,30 am was 14,154. 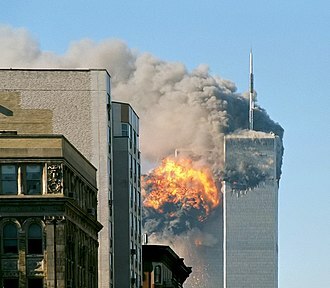 In the moments after Flight 11 struck the North Tower, the roughly 8,000 people on the floors below the point of impact were faced with a harrowing scenario. Many people began to evacuate via the stairs on their own, while others chose to wait for instructions from the Port Authority of New York and New Jersey. Overview of the site following the attacks. The Deutsche Bank Building is visible behind an angled red crane. Detail of gash in the facade imparted by the collapse of the World Trade Center. 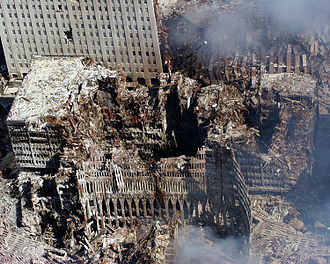 A segment of the South Tower facade is visible hanging from the gash. 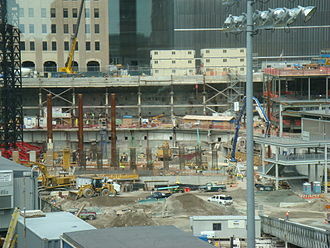 One World Trade Center tower construction as of August 7, 2007. One World Trade Center Site on July 12, 2009. Two rescue workers entering the American Express Tower after the attacks on the World Trade Center.